- Endmills are used in milling applications such as profile milling, tracer milling, face milling, and plunging. They are the most common tool used in a vertical mill. Our organization has gained recognition for providing premium quality HSS End Mill. Our company has created a niche in the field of offering HSS SPL. Extra Long End Mill. We are highly commended as one of the leading companies that offer High Speed Steel End Mills. All these provided products are robust and sturdy in nature and ensure long lasting functional life. These products are developed by utilizing elevated quality components. Trucut Precision Tools Pvt. 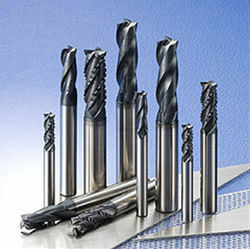 Ltd.
We bring forth an excellent assortment of Long Series Carbide End Mill. Our offered range is widely appreciated by our prestigious clients for their precise design and durability. The offered range can also be availed in various sizes, designs and other related specifications. Our company has become a well-known manufacturer of HSS End Mills. To maintain the quality, we check these products on several industry parameters to ensure worldwide standards. The end mills are manufactured from high quality of steel and are widely acclaimed for their efficient performance under difficult conditions. They require less maintenance and have high durability. End Mills are used for all types of milling operations such as profiling and slotting. 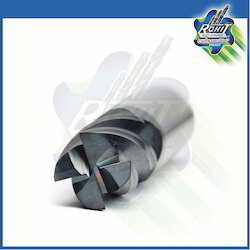 End mills are available in a cutting diameter range of 1/8" through 1". Length of cuts range from 3/8" to 2-1/4" and overall length ranges from 1-1/2" to 6". Product Price varies between Rs. 300 - Rs. 4000 Based on buyer requirements.